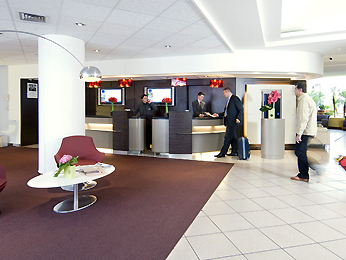 Stay at the Novotel Paris Sud Porte de Charenton hotel. Whether you’re enjoying a family vacation or a weekend getaway for two, the hotel’s comfortable rooms are the perfect base for a relaxing break. With 12,917 sq. ft. (1,200 m²) of meeting space, the hotel is perfect for larger meetings. Savor French cuisine in the restaurant’s modern setting ? eat inside or on the terrace. Take a walk in the nearby Bois de Vincennes park or discover Paris’ great landmarks. Discover Paris at your own pace at Novotel.